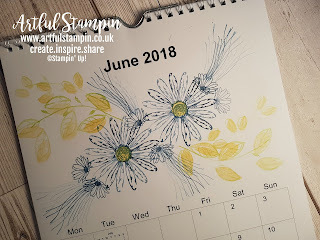 Moving on to June's page of my calendar project. 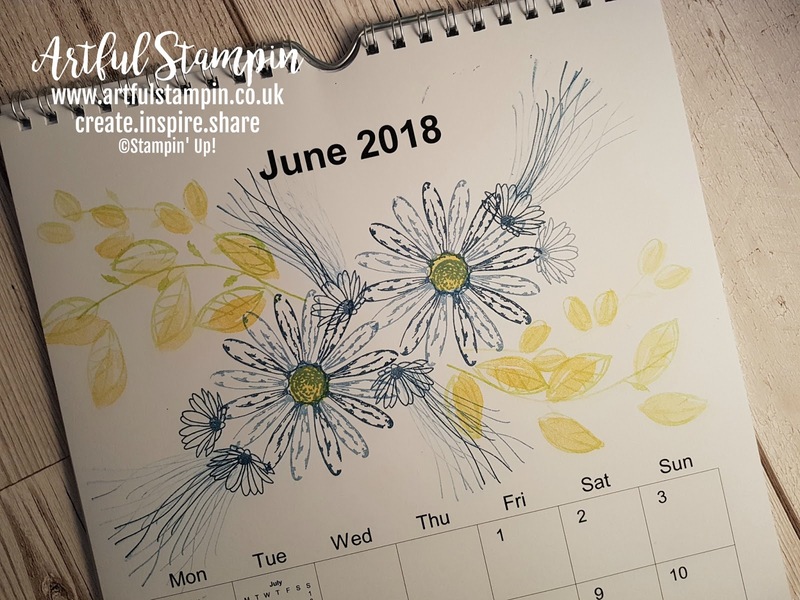 More blue flowers with the yellow centres, but this time daisies. Well it has been snowing here in Mid Wales, and as a result I had to postpone this morning's class as the weather was not nice for travelling. 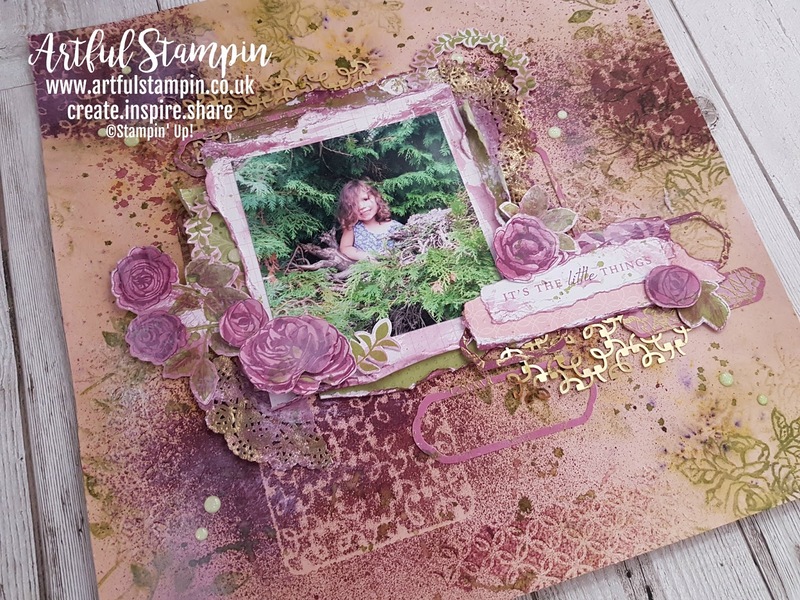 Happily my Stamparatus arrived, and after a morning of sorting and tidying my desk I sat down to have a play. 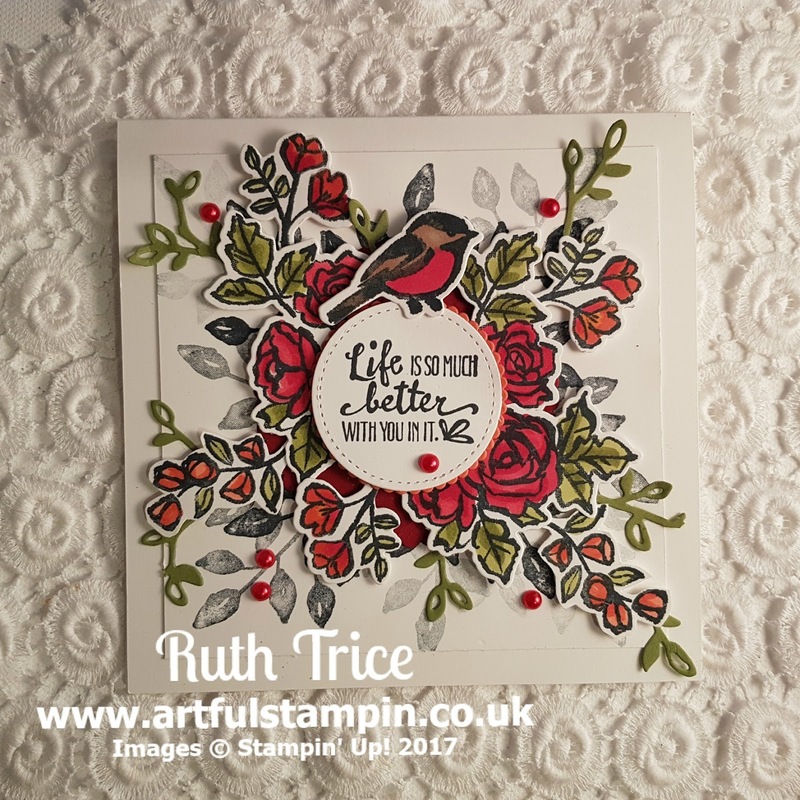 One of the first things I did was design a template to be able to do stamping in the round or 'kaleidoscope' stamping as I've called it. Here are two videos, one showing how to make the template and the other showing how to use it. 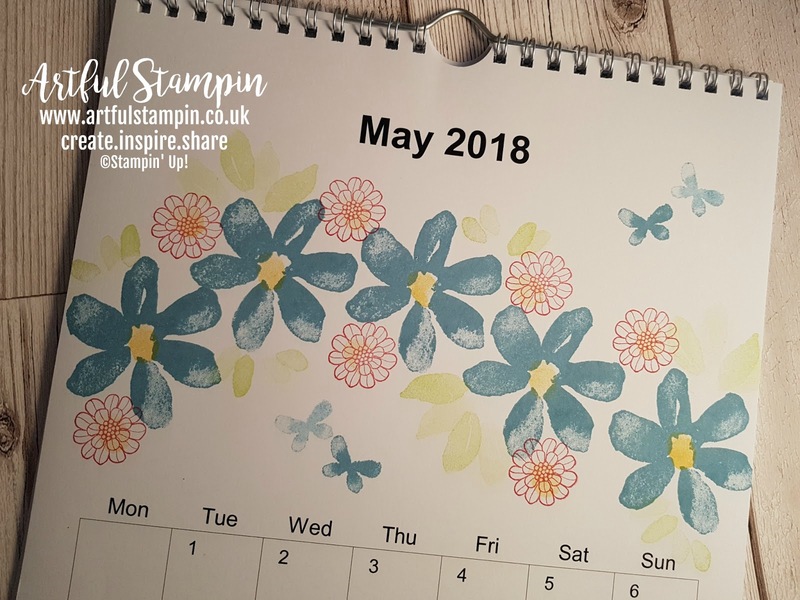 The Stamparatus will be available in June when the new annual catalogue goes live. I'm sorry it that feels like a long time away, it is a fabulous tool and definitely worth the wait. Those of you who attend my local classes will be able to play with it next time I see you. Saleabration is still on, so don't forget to redeem your FREE gift with every £45 order. There have been some new products added that you can view here. 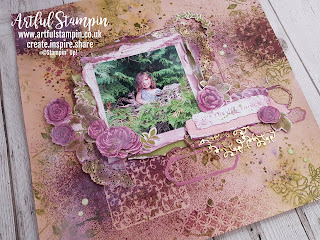 It had been a while since I had done some scrapbooking. 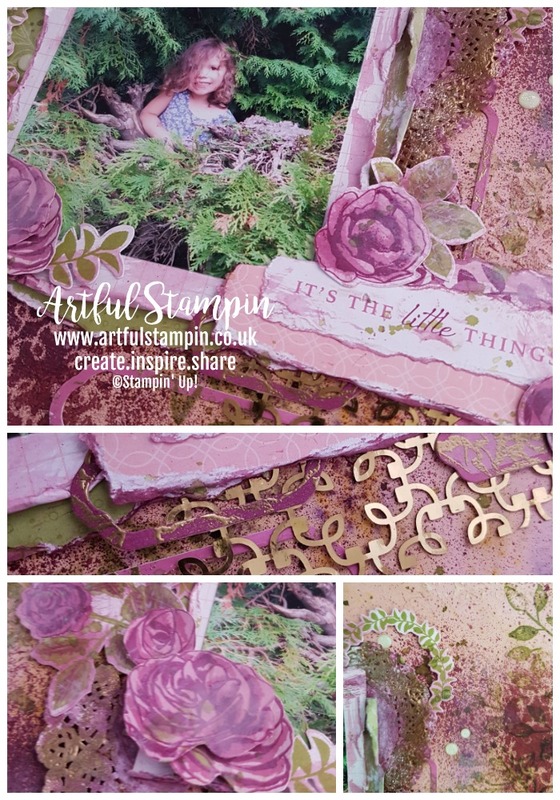 Since I have been playing with more mixed media techniques I had been itching to make a layout with the Memories and More pack called Petal Garden. It has come lovely laser cut elements that I thought would work as a stencil. I ended up creating this page on facebook live and then creating shorter videos to help show you the process. If you have any questions about the products I used, please leave a comment below. This card was made back in December. A friend of mine asked me to make it for her parents 60th wedding anniversary. That's an impressive amount of time, and such an inspiration. The anniversary was in December, so the wintry colour scheme was really appropriate. Here is the tutorial, filmed in December hence the reference to snow! 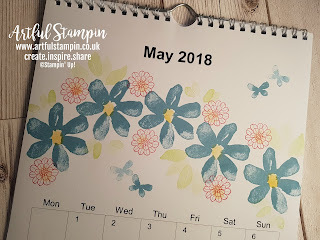 So here is May's page of my calendar project. The blue flowers with the yellow centres remind me of Forget-me-nots. 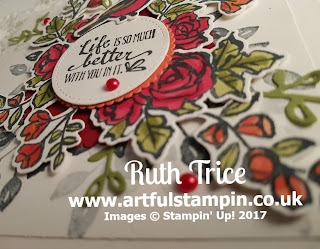 I'm starting to really love using the Stampin' Blends to colour in images. 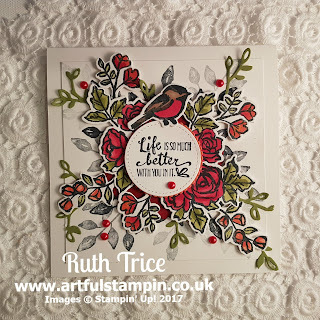 For a long time I have enjoyed looking at the colouring skills of other card makers and envied the results they got with Alcohol pens. 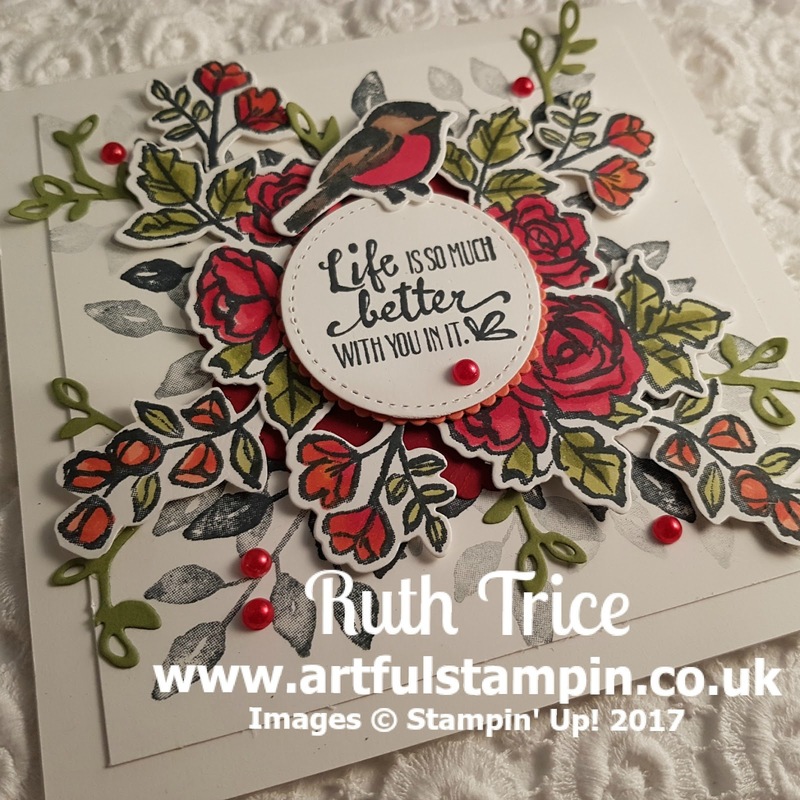 Now Stampin' Up have brought out their own it has been such a fun journey realising the potential of these pens. 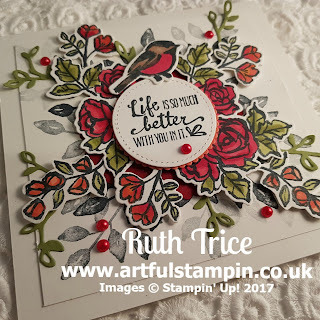 Here is a card using the Petal Palette stamp set and the matching dies. And check out those red pearls! 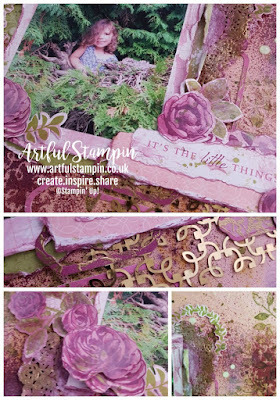 They were created using the Cherry Cobbler Stampin blends pen on our pearls. This is a sped up video of the process.